Please note: Only available to customers in the United States, Canada, Germany, France, UK, Italy, Spain, Netherlands, Belgium, Switzerland, Australia, South Africa, Japan, South Korea, and Singapore. The sale price includes shipping and all sales are final. 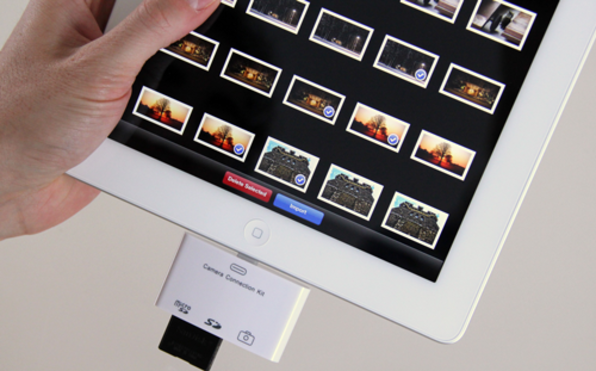 Streamline the process of importing photos to your iPad with this quick and convenient 3-in-1 adapter. 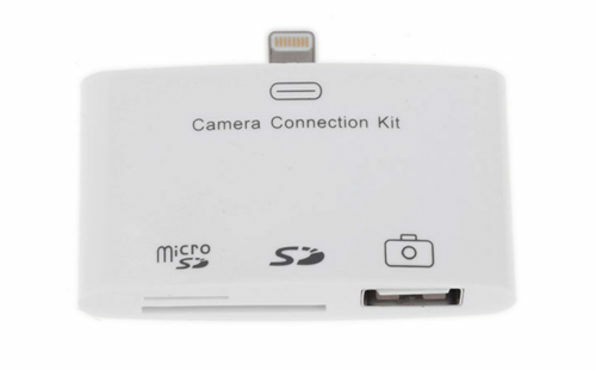 Whether you want to connect your camera directly to your iPad via USB, or upload images from a flash drive, SD card, or Micro SD card, this compact device let's you do it all! Take your iPad to the next level for only $19 including Free Shipping! You can find the iPad 4 & iPad Mini Connection Kit HERE. Tablets are pretty impressive, but they still have a ways to go before they can effectively replace a desktop or laptop computer. This little device will help bridge the gap between tablet and fully functional computer. 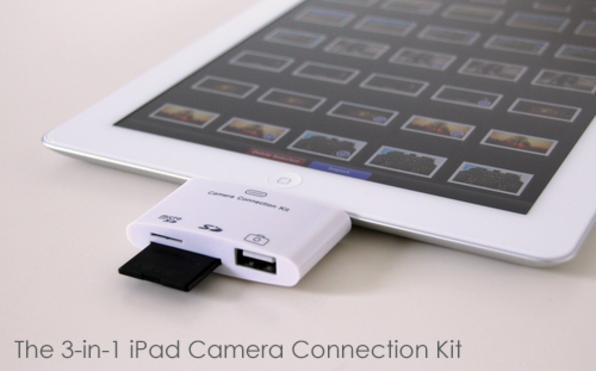 Most importantly, the 3-in-1 iPad adapter cuts out the middle man when uploading photos to your iPad, saving you a ton of time! 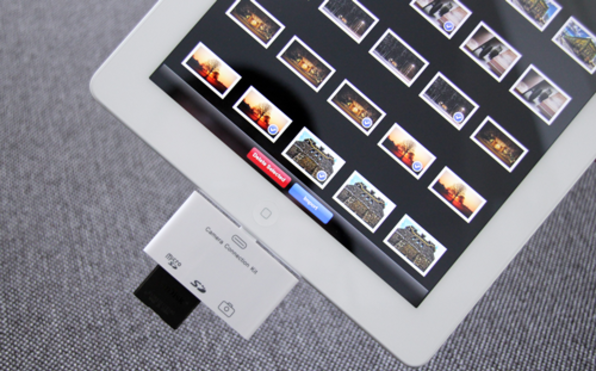 30-pin Dock Connector Works flawlessly with the iPad, iPad 2 and iPad 3 3 Ways to Import Load pictures to your iPad straight from your camera’s USB cable, directly from a flash drive, SD card, or from a micro SD card. 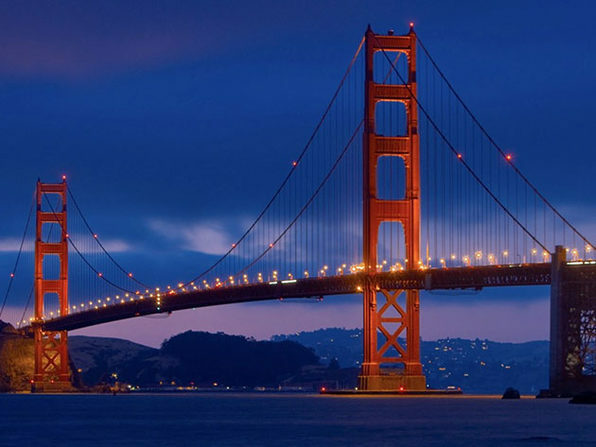 Durable Design Reinforced plastic for quality construction that will last for years to come. Plug & Play Supports playback of raw footage recorded by Canon, Nikon DSLR cameras, or any other iPad compatible image/video formats. 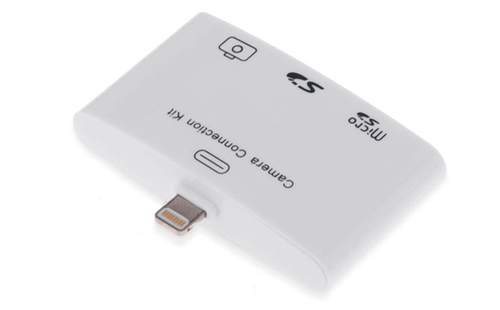 This promotion is for the 3-in-1 iPad converter for iPad 1, iPad 2, & iPad 3. You can find the iPad 4 & iPad Mini Connection Kit HERE. Only available to customers in the United States, Canada, Germany, France, UK, Italy, Spain, Netherlands, Belgium, Switzerland, Australia, South Africa, Japan, South Korea, and Singapore. This sale price includes shipping! Due to software limitations, only one of the three interfaces (i.e. SD, microSD or USB) may be used at once.